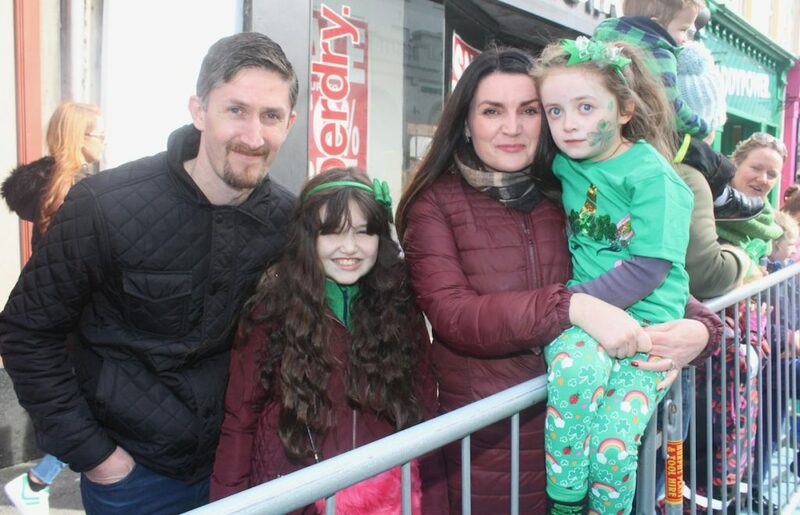 THEY were blessed with the weather. 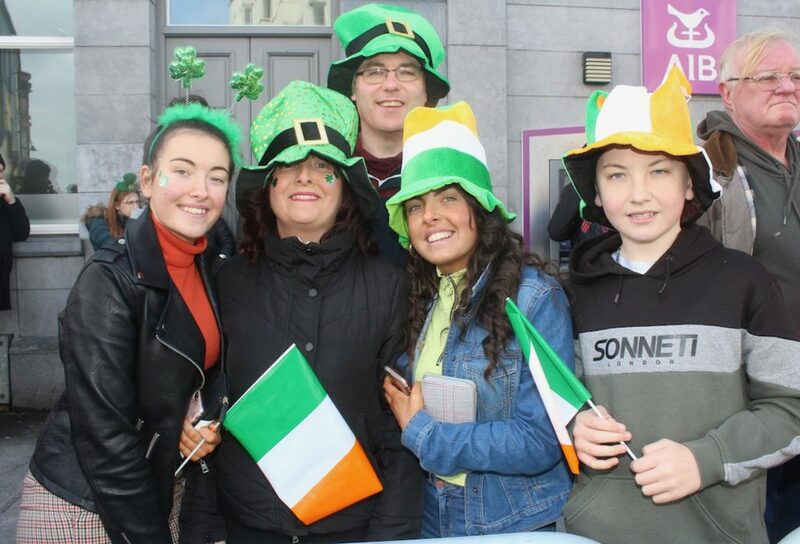 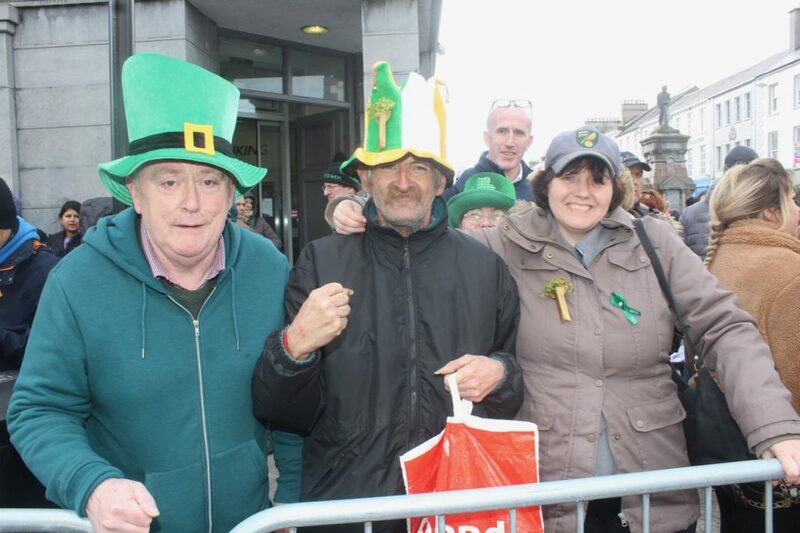 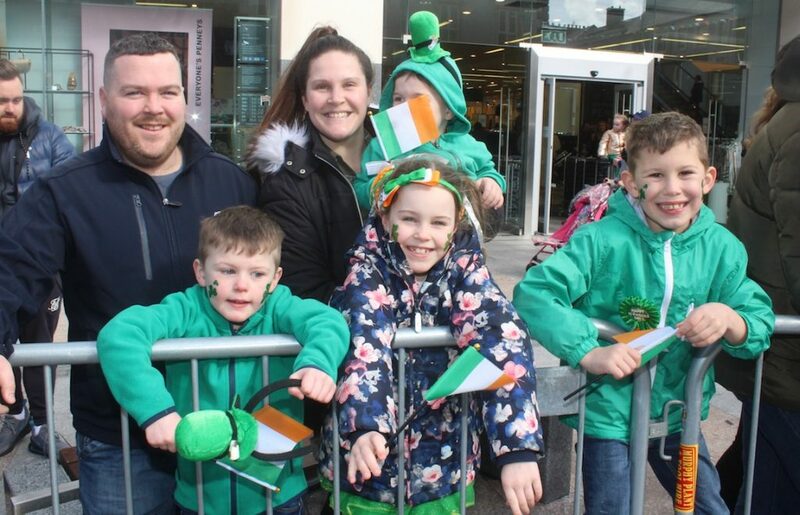 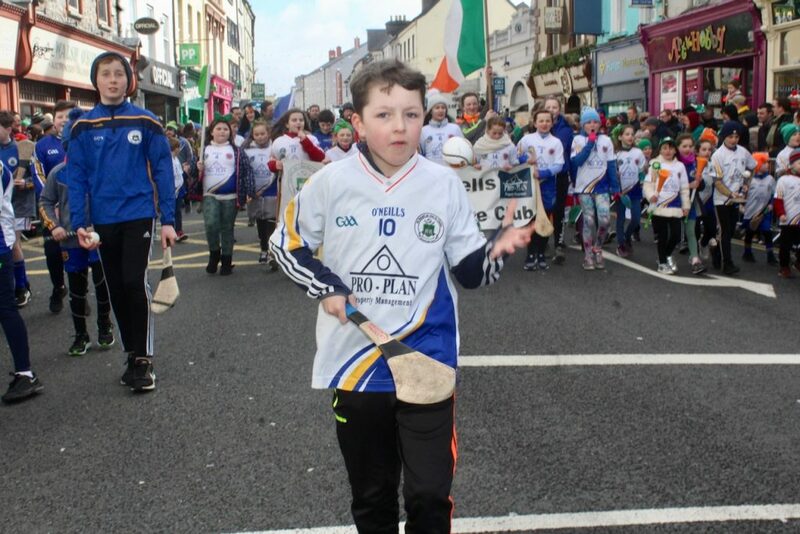 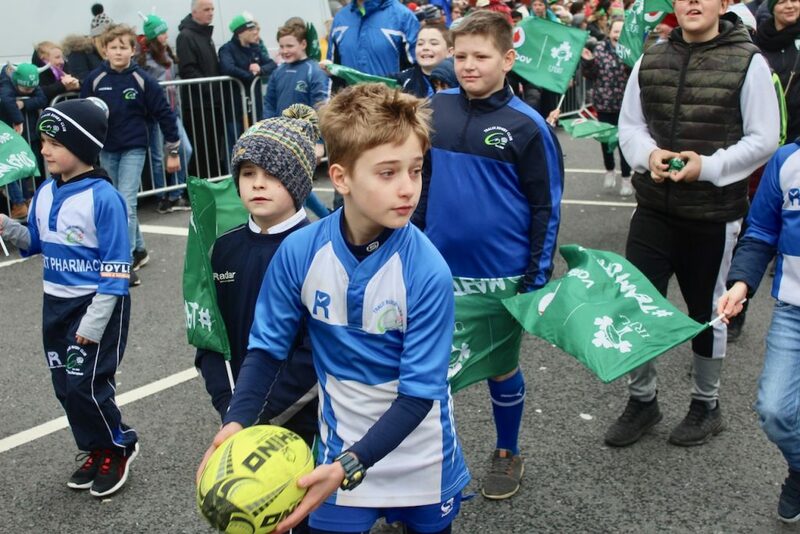 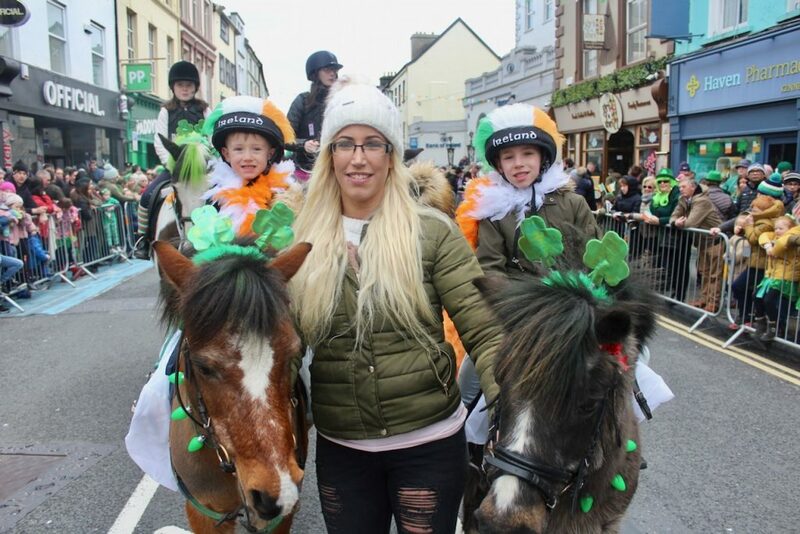 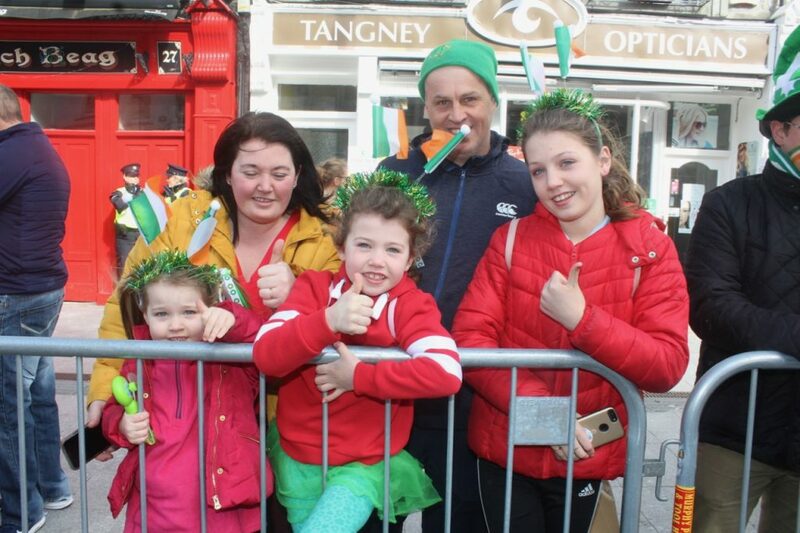 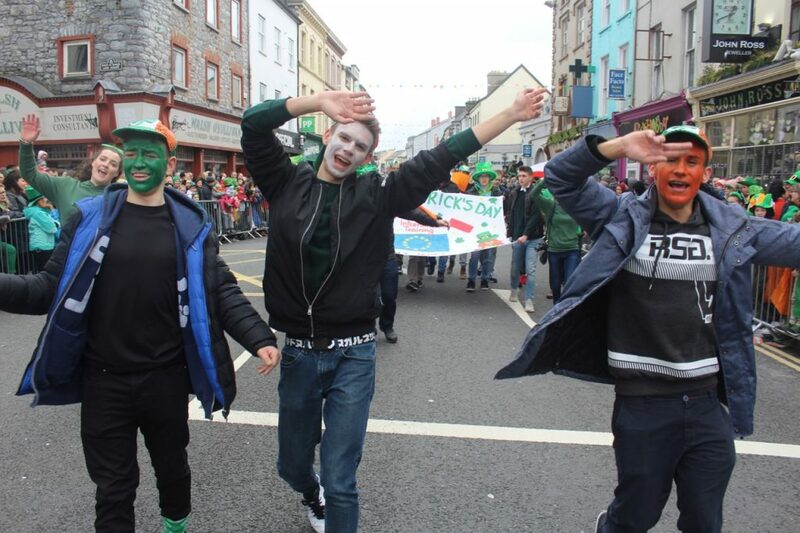 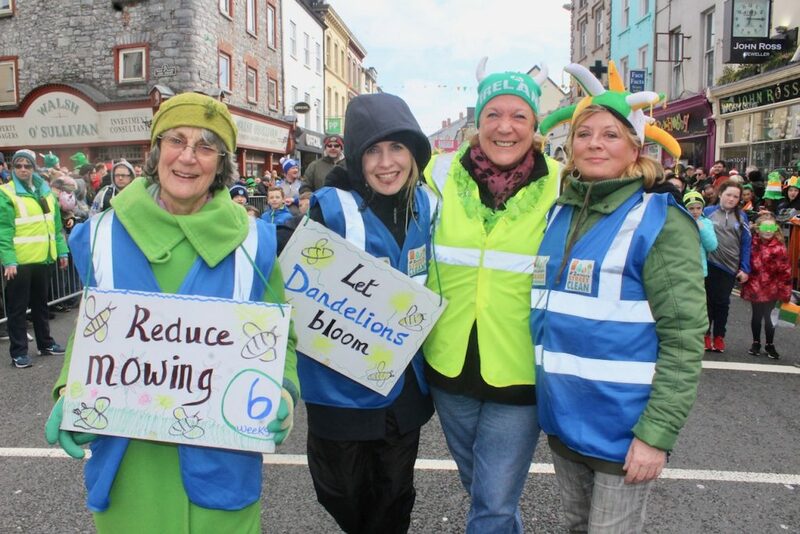 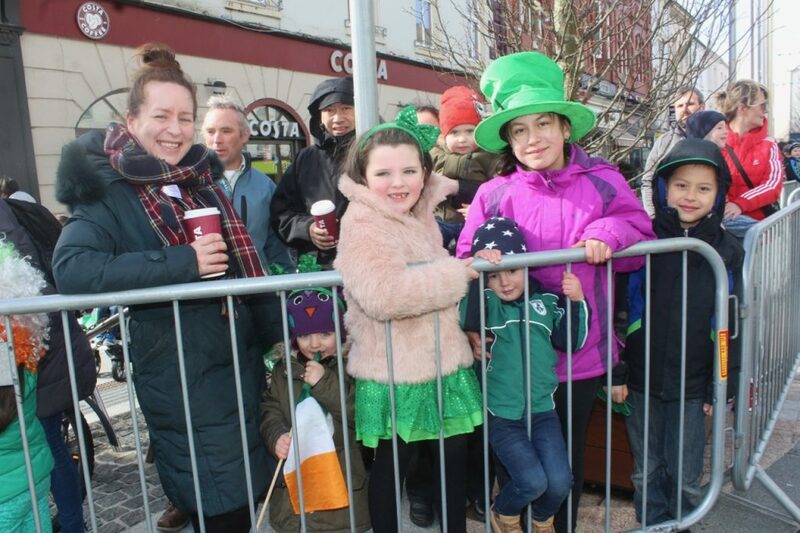 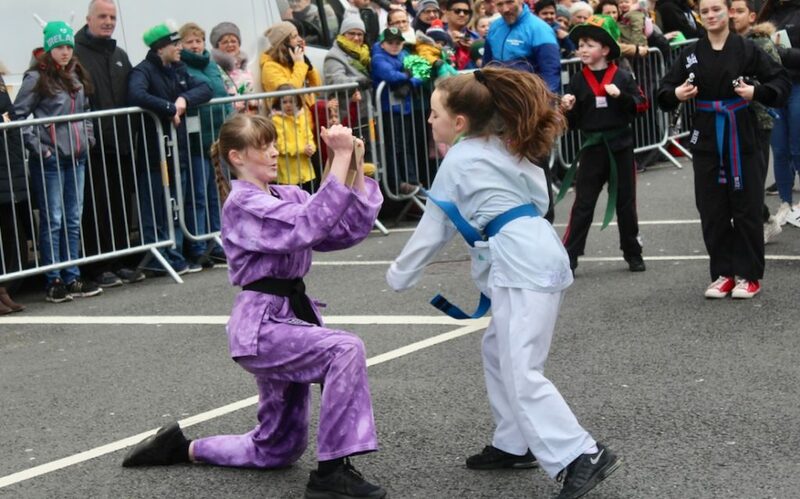 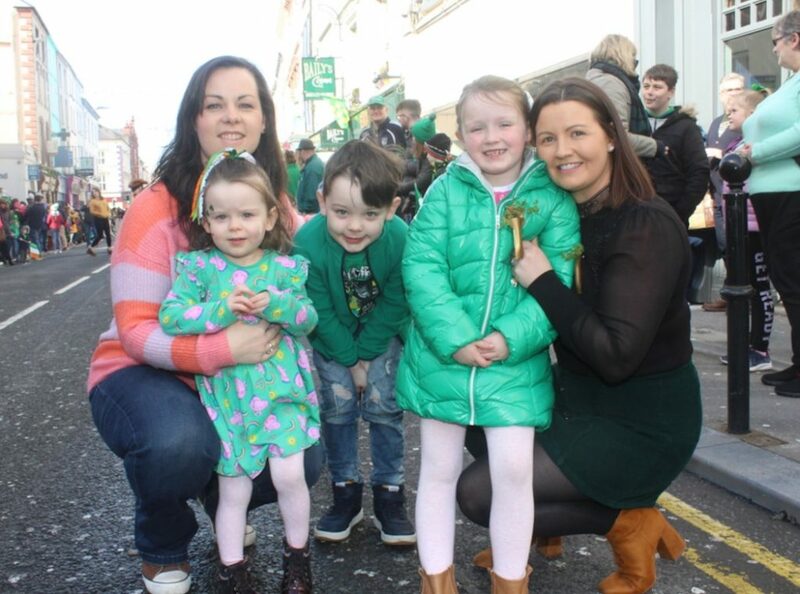 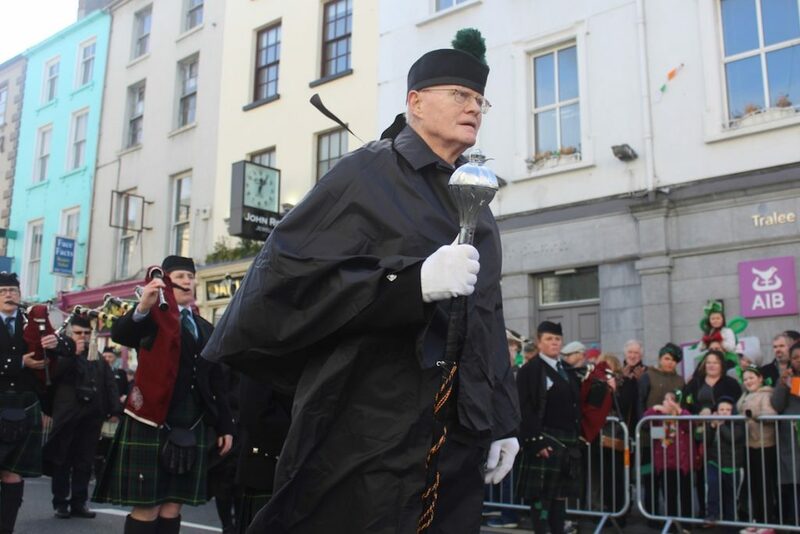 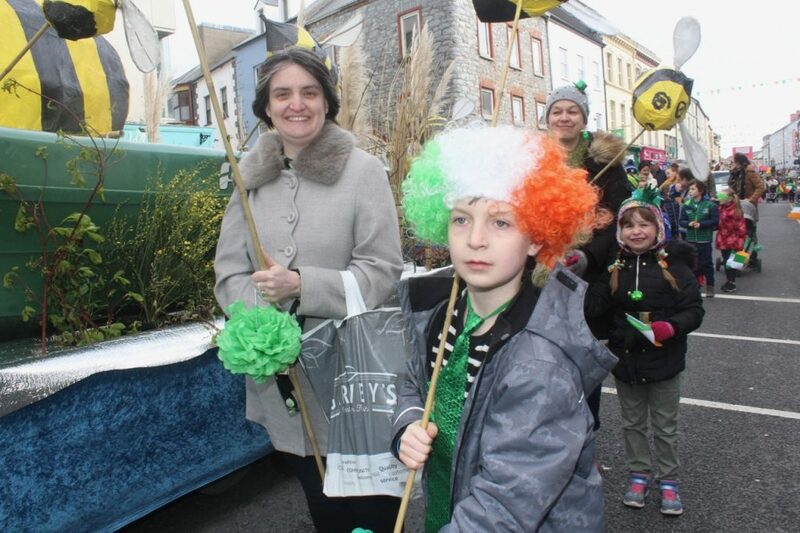 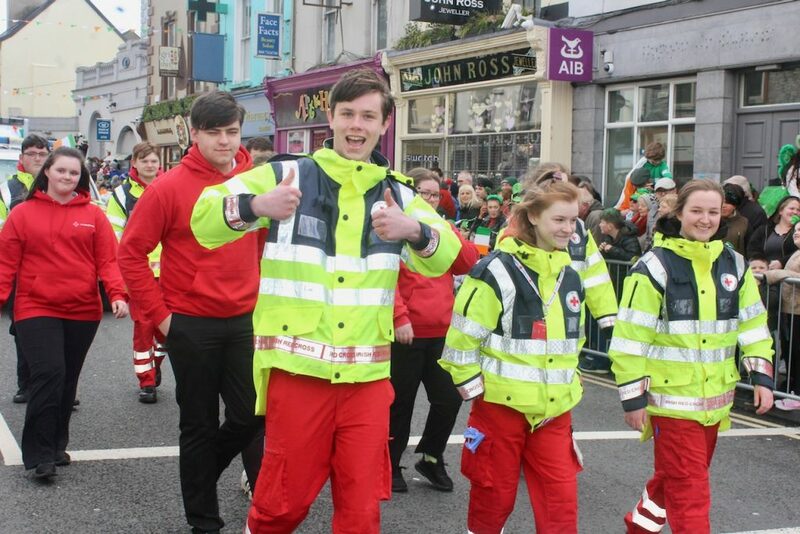 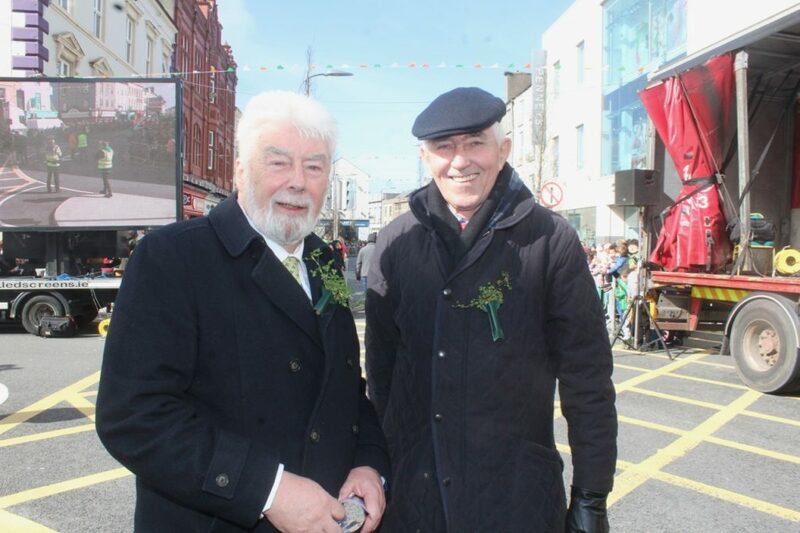 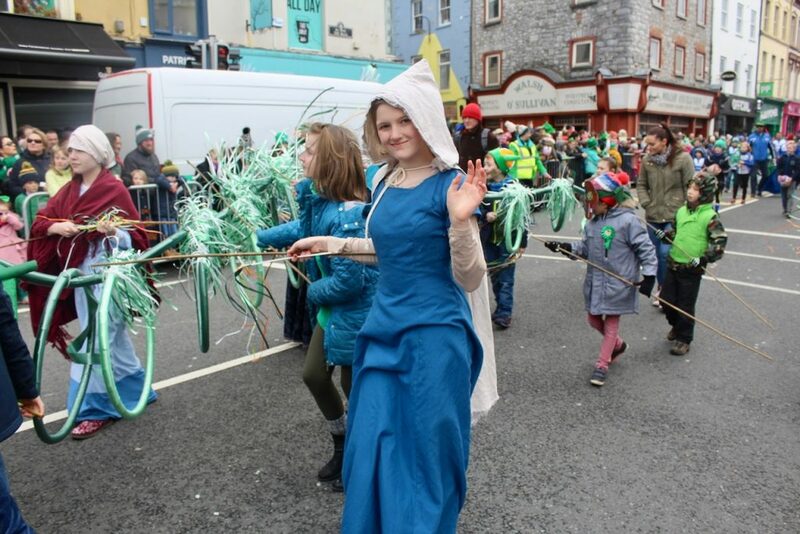 After the horrendous rain, hail and gales of the past couple of days, the rain cleared and the sun came out for the St Patrick’s Day parade in Tralee at noon today. 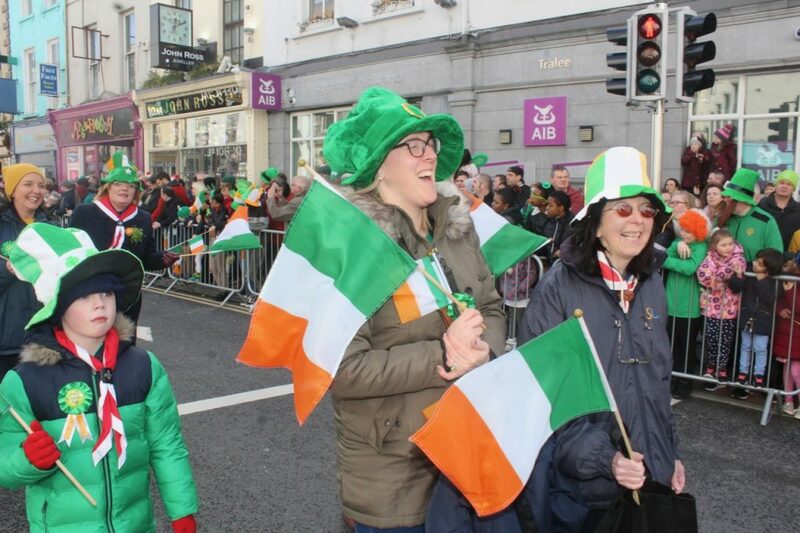 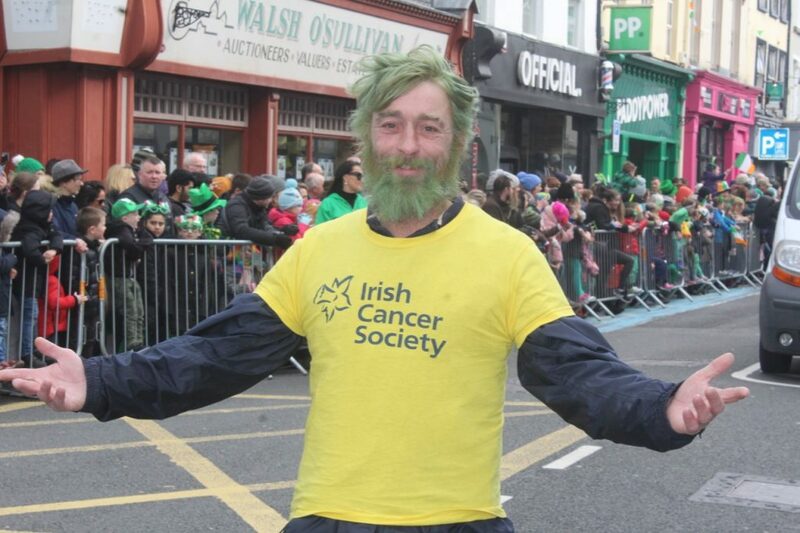 Hundreds of people, many decked out in green, lined the streets to cheer on the hundreds of participants. 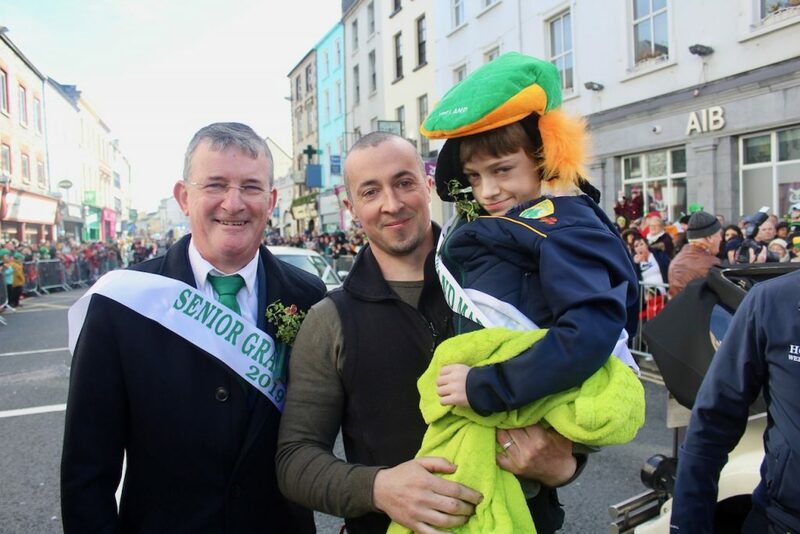 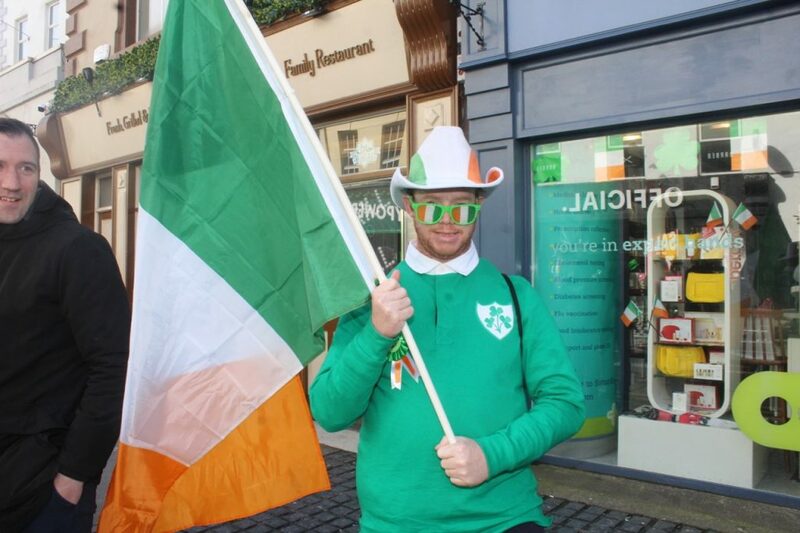 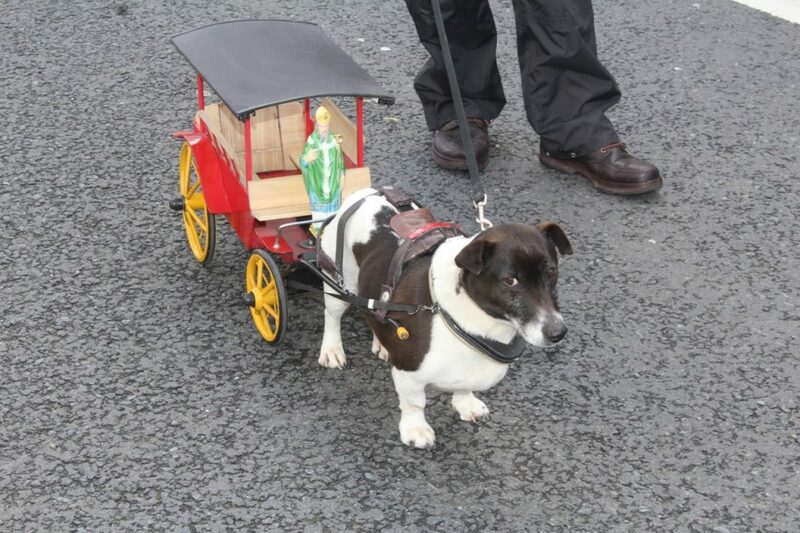 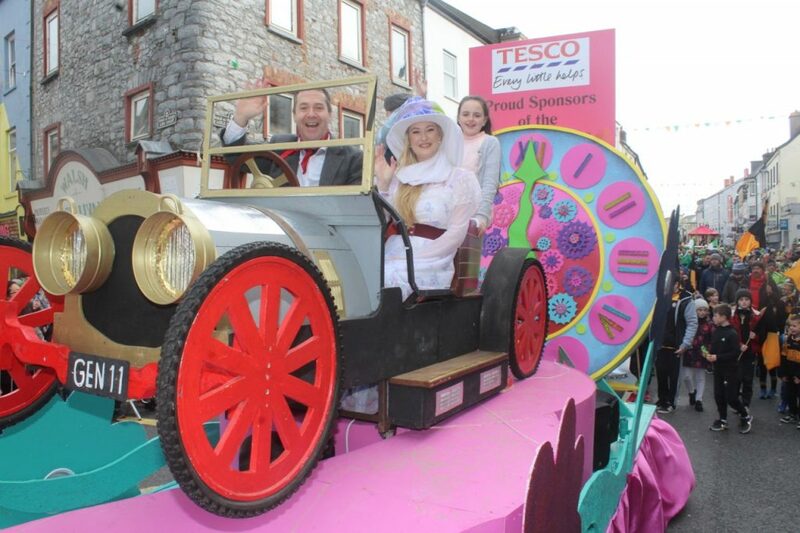 Pride of place was reserved for the two Grand Marshals, Chief Executive of the Rose Of Tralee Festival Anthony O’Gara and eight year old Ryan Kelliher, a young muscular dystrophy patient from Tralee, who was accompanied by dad Trevor. 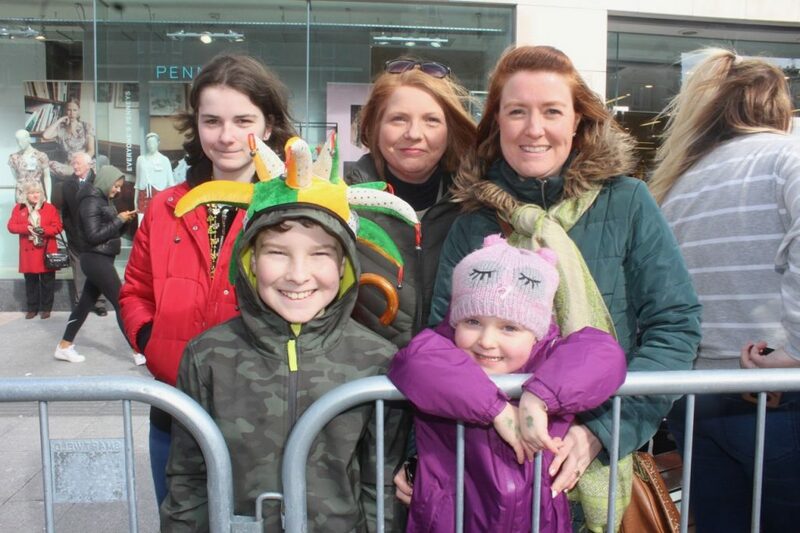 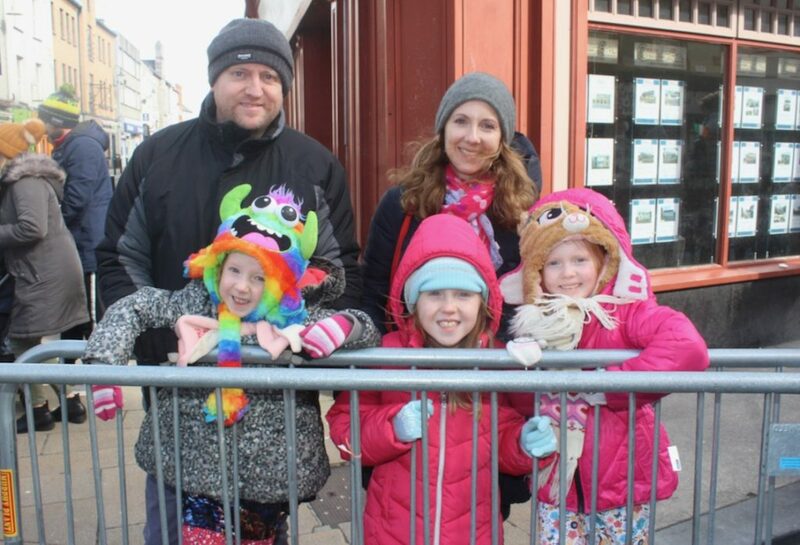 They took their places in the stands with local dignitaries to watch the bands, clubs, societies, businesses and community groups make their way down through to the Mall from Castle Street. 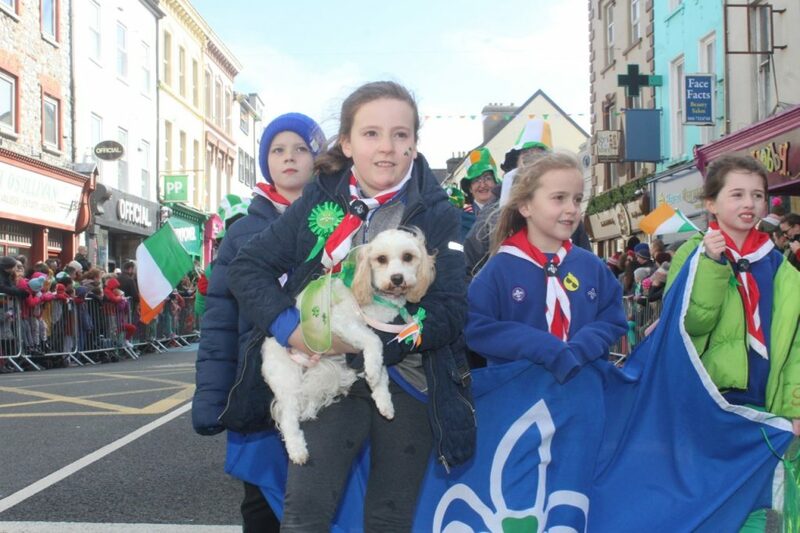 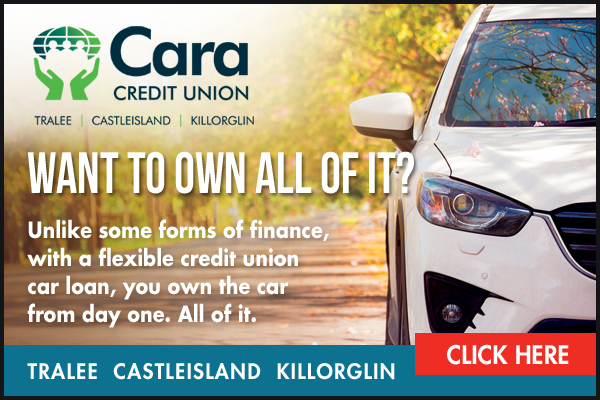 There was a tremendous show of the community spirit in the town as MCs Mike O’Donnell and Sean Lyons kept the crowd informed of who was coming next in the parade and conducted short interviews as they passed.